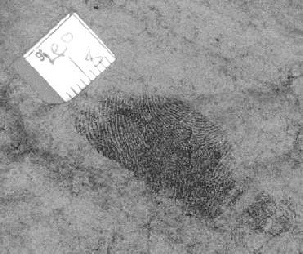 All fingerprint images need to be printed or sent to AFIS/Ident1 at an exact fingerprint image to print ratio of 1:1. The DCS 4/5 system has easy to use pre set and new two click variable calibration functions. For day to day use all calibration is pre set and the user can capture and print images WITHOUT using any calibration software. An image can be individually calibrated down to 0.1% of a mm in under 10 seconds. 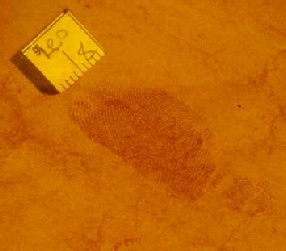 Fingerprint images before and after enhancement containing a calibration scale.